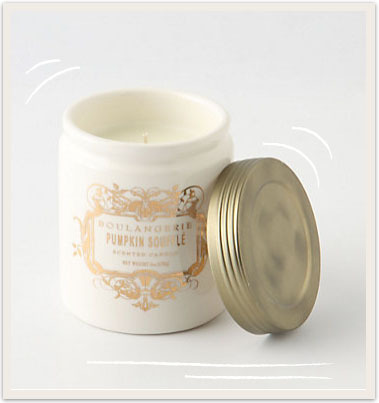 Currently burning the Boulangerie Pumpkin Souffle candle in my office. It’s amazing. Just go buy it and thank me later. That looks and sounds like it smells amazing. I don’t trust a candle company with bad branding. I love, love those candles! YUM!